A personal blog that caters anything that comes to mind. Have been to the doctor for the follow up and to get the results of the Biopsy. I was again, as usual on the waiting list, waited for about 4 hours....it is always like this, since there were always a lot of patients ( lots of people have skin problems these days).. The advise that was given to me by the doctor was too be under the heat of the sun 1 hour everyday, I'm getting my tan after the summer..lol..and he had given me a cream for the meantime, then I will be back again after one month. I am hoping, the medication and the dedication would cure this..to get my Flawless skin back! It will be a new chapter for the Republic of the Philippines! The new president has been declared.It was a peaceful declaration! Majority of the people are expecting this to happen it was not a surprise. The first automated election was very successful,giving Mr. Benigno " Noynoy" Cojuanco Aquino III the highest position in the country. Former senator and Now President Noynoy Aquino is the son of the late former president Cory Aquino and the late Ninoy Aquino Sr. 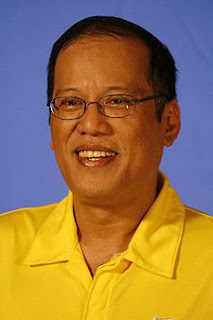 He never intended to run for presidency but the people called for a change and it was a good timing that the late Cory Aquino died last year, thus giving him the attention of the masses, wanting him to run for president and rule the country the way his parents did it a few years back. Filipinos were looking for change and with him as the new elected President I do hope that we can see that in the near future...A country that would be better than what we have today! Less corruption in the government, more progressive and much better life for all of us, a good future for the next generation...I have my fingers crossed! I went to the doctor the other day to have my skin allergy checked, I have been suffering this allergy for almost two years now and since it doesn't bother me at all( except that it itched sometimes) I never bothered to have it checked up by a doctor, plus I know that it'll cost money and during that time i do not have enough to cover that. Early this year my Husband keeps on telling me to go to the Doctor since the aftermath of the itching is more apparent now, it had created a visible scar on my arms and legs, and there is a scattered redness on my skin which is not a good site look at, that is why I decided to go to the doctor. I went their early morning , only to discover that there were a lot of patients waiting,( I was one of them), the clinic hours starts at 9am, we were there by 8am and was shocked that I was listed at #30! Can you imagine that, we waited until lunch before we went in to see the doctor. Finally, after so many hours of waiting, it is my turn to see the doctor. I was nervous what it is since this is my first time to have this kind of process and from the name Biopsy,(from what I heard is painful) My Aunt recently had her Biopsy and she said that it hurts, so it sends shivers to my spine..I was shaking that time I was so nervous, so the doctor take my arms and he is looking for a site where to perform the biopsy, I was thinking that he would cut my skin with scissors. When he found that one spot with an allergy, he rubbed it with a dark colored liquid and injected it with something that made my skin grow,(like a balloon when you put an air on it), then he punch something on my arm, a green equipment that looks like a pen to me, when he lifted it, it makes a hole in my arms, so he grabbed a medcal scissor and cut the remaining tissue that is attached to my skin..and it looks like this. It was not a painful process but it leaves a hole in my arm..so ugly to look at, but it's okay as long as i will be cured. I will be back then and see what it is that is causing this skin allergies..I am glad that I finally decide to be there. Listening to music is a good way to soothe the soul and it is also a good expression of oneself. But it is also nice to know if we could play one of the musical instrument, specially the guitar it is the most common instrument that can be played easily. If you are interested to learn the guitar there are a lot of websites that you can log in to like play guitar. This is a site that teaches you on how to play the guitar and it is very easy to navigate, it is simple but informative. play guitar is user friendly and if you become a member, you can access more information about how to play the guitar in an easy way.